Already, eight persons told magistrate Carla James at the Kingstown Magistrateâs Court last week, that Smith conned them several times â while using different pseudonyms. The Sion Hill resident is charged with 29 counts of deception that took place between April and June 2015. 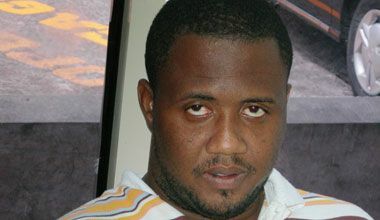 Smith, who is alleged to have gone by the names of âMiss John,â âPastor Charlesâ, âRichardâ and âMiss Williamsâ, is reported to have tricked Government and private business owners into delivering blocks, sand, other materials to persons on the Windward side of the island to assist with the construction of houses. On Friday, August 28, Denise Francois, a self-employed resident of Sandy Bay, told the court that Smith came to her on April 30 and introduced himself as âPastor William Charlesâ of the Seventh-Day Adventist Church. âHe was sitting in a silver car and he asked me to come inside the vehicle. He said he came to look for me the week before and that he wants to help me to build a house. âHe asked if I ever asked the Minister for help and I asked who Minister and he said Minister Daniel (Montgomery Daniel â area representative),â Francois recalled. A surprised Francois said Pastor Charles told her that his church was working along with the Government to assist people in the area whose houses were damaged by the December 2013 floods and Hurricane Tomas. Francois said she agreed, and it was then Pastor Charles asked for $375 to start the paperwork. âHe said the project was coming to an end and he really wanted to help me. I ended up giving him $400,â Francois testified. According to Francois, on May 1, she met Pastor Charles again and he wanted another payment. She said she gave him $400 and after that paid him some more money. On May 15, Francois said she received a telephone call from âPastor Smithâ from telephone number 430-0847 â the same number other witnesses said they received telephone calls from. Francois said she spoke to the others and told them of âPastor Charlesâsâ offer, collected their telephone numbers and gave them to him. That same day, she said May gave her a brown envelope to deliver to âPastor Charlesâ. She stated that she met the defendant in Georgetown, delivered the envelope and some time after, began receiving a quantity of blocks and sand to begin construction. Francois said the only work that was carried out was done by two men who came to measure the land. Giving testimony, Derron May said that after she had spoken to Francois and âPastor Charlesâ, she gave Francois an envelope with $4,000 to deliver to the Adventist âpastorâ towards the construction of a three-bedroom house for her and a two-bedroom house for her daughter. Subsequently, May said she received a large quantity of blocks and sand. Continuing testimony, May said that her daughter Derricia May told her that she had spoken to âPastor Charlesâ about the delivery of the blocks and sand on behalf of her mother, because her (Derronâs) phone was not working properly. It was sometime after, May told the court, that she was on social network site Facebook, when she saw a post warning persons about a person going by the name of âPastor Charlesâ offering to build houses for persons. She said she immediately contacted the Housing and Land Development Corporation (HLDC) and reported the matter. Sandy Bay resident Addison Baptiste, told the court that on April 30, Smith approached him in a silver car. âHe asked me if I is one of the guys who want a house and I said yes. I told him I had $200 and I asked for a receipt, but he tell me he go bring it the next time he coming. âHe told me his name was âPastor Williamsâ, thatâs why I put my trust in him,â Baptiste said. He further testified that he told âPastor Williamsâ (Smith) that he did not own any lands and he (Smith) told him that the Government would provide a portion of land for him in Sion Hill, Sandy Bay. âHe told me to point on a spot of land, everything will cost $1,500. That shock me and I ask if this is real,â Baptiste said. Sometime after, Baptiste said he sold two cattle to help finance the purchase of the house. The unsuspecting man also told the court that âPastor Williamsâ saw him driving a vehicle in Sandy Bay on one occasion, and told him about a vehicle he had. âHe saw me driving and tell me he didnât know I could drive. He said he had a vehicle he bought for a man, but the person died. He said he was giving me for free, because he already got the money for it and just wanted money for the paperwork from Coreas. âHe said it will cost $1,500 to $1,600, but I didnât give him all at once,â said Baptiste, who has never seen the vehicle. When the matter resumed yesterday, investigating officers PC 858 Henry Hoyte and PC 333 Gamal Bowens, both of the Criminal Investigations Department (CID), said following investigations, the materials delivered to the individuals were retrieved and taken to the Buildings, Roads and General Services Authority (BRAGSA) compound in Georgetown. Bowens also testified that while in custody, he retrieved a cellular phone from the defendant, which carries the number 430-0847. The matter was adjourned to Thursday, September 3. Smith is unrepresented in the matter.